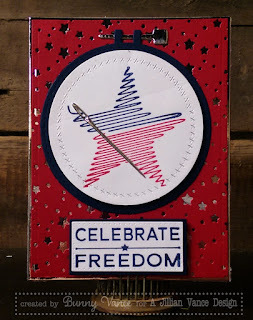 I am IN LOVE with the new Scattered Stars Strip Die. It cuts a strip of scattered stars and can be used multiple times across your A2 card background. 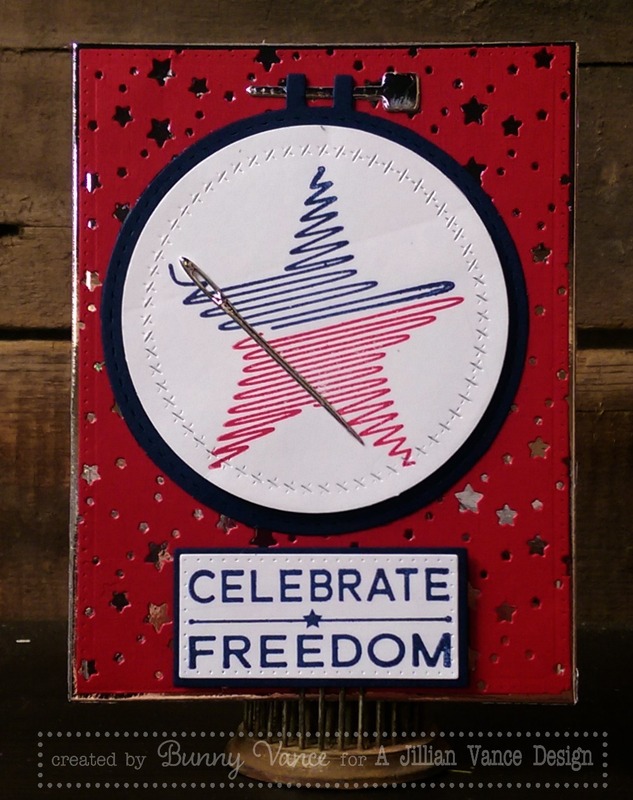 I love this look and I like the silver card stock behind it, it just makes those stars POP out!